Context is the theme this week for Dave Broom. How can you fairly assess a two-year-old ‘spirit drink’ (and another young ’un) alongside a 50-year-old grain and a 46-year-old single malt? See them on their own terms as liquids and within their competitive set, that’s how. 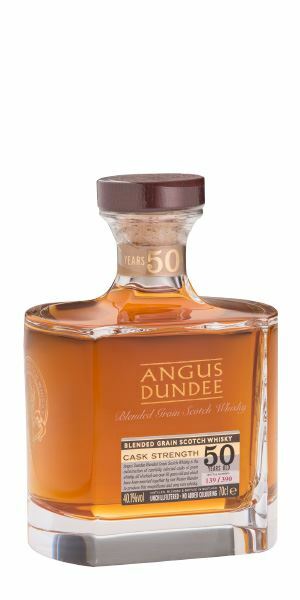 Both age and beauty stroll hand-in-hand through the door first, as Broom discovers an Angus Dundee 50-year-old blended grain that is all gorgeous butter popcorn notes and gentle airiness. 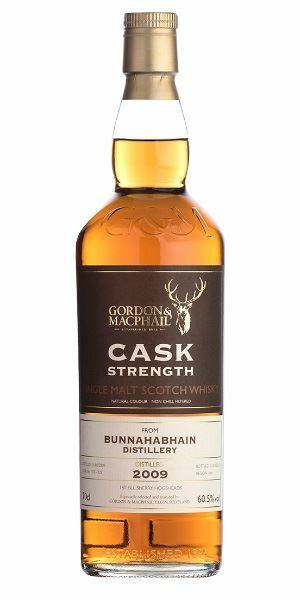 A varying trio of Bunnahabhain bottlings come next, starting with a supple and great value Gordon & MacPhail expression which has benefited from a first-fill Sherry hogshead. 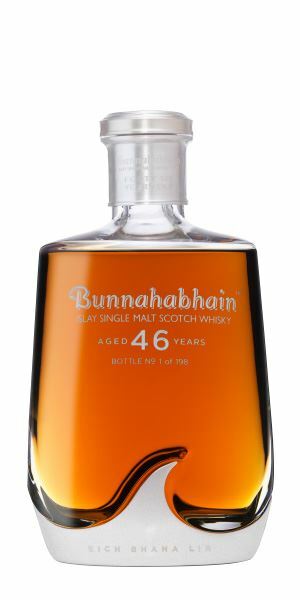 Next is the 46-year-old Bunnahabhain Eich Bhana Lír (meaning the ‘great waves of Lír’, in reference to the Gaelic sea god), which is one both for fans of delicate fruit spice and those with big wallets. A Duncan Taylor eight-year-old bottling completes this week’s Bunna’ trilogy, with a strong vinous Sherry influence that has Broom hand-picking some slightly tart raspberries. 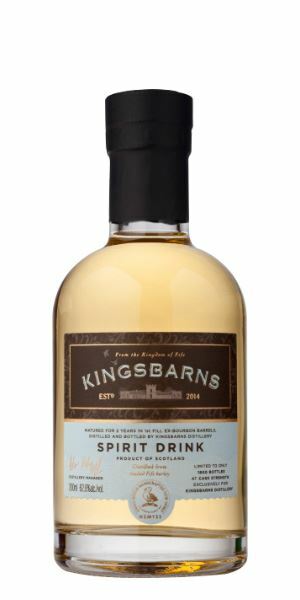 At the other end of the age spectrum is a two-year-old spirit drink released by Kingsbarns distillery as a precursor to its first matured stock, which shows great promise with a lovely mid-palate sweet spot. Finally, taking Broom (and George Jones, by all accounts) on a long trip to the north-eastern tip of mainland Scotland is Wolfburn’s bold and Bourbon-like Batch 128, as sounds of Nashville quietly drift out into the Pentland Firth. There’s a reduced and highly concentrated element here which brings to mind primed canvas and oil paints. This then gives way (though it never disappears) to toffee, Sugar Puffs, hot buttered popcorn, nectarine and some pollen. Really gorgeous. Even the tiny sharp angle which emerges in time adds interest. Water – and it only takes a drop – opens it further, giving extra soft sweetness alongside a return to the corn oils and a little touch of oak. Very gentle, with lots of those popcorn elements. While things remain on the big and buttery side, there is an extra nutmeg-like spice alongside some juicy peach. The low strength and the age has given it an airiness as if it could just blow away. Sweet, if a little short. Light white chocolate. 40.1%? That’s a lucky find! Delicious, even if not exactly cheap. A heavy, quite powerful nose with that burnt/sweet/dark fruit character of treacle toffee, backed up with dry-roasted spices, tonka bean and bitter chocolate. The oak has a real presence here, but also contributes a scented element rather than a blunt ‘Sherried’ character, allowing sweet blue fruits to come through, alongside walnut bread. Water is needed and adds a gorgeous mix of marmalade, coffee, incense and dunnage aromas. Big, concentrated, and very well-balanced. 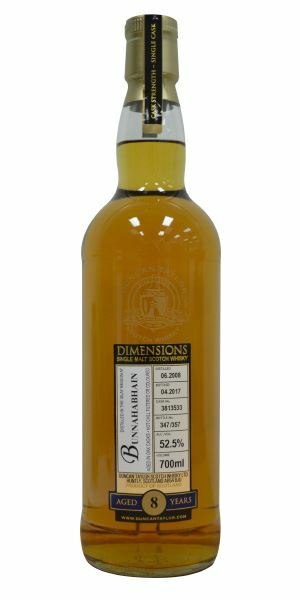 The dried fruit elements, which are quite date-like, are there alongside light nutty maltiness, Dundee cake and the distillery’s signature ginger element that also spins in a hint of clove. The alcohol adds energy and freshness, but is held in check by the softness of mulberry jam and a funky forest floor fruitiness, similar to a Demerara rum. That said, it does need water, which adds to the gentle, mouth-coating effect. A surprising mineral touch, then rum-and-raisin ice cream, toffee. Supple. How old? At under £50? Though this is very different in style, if you can’t afford the 46-year-old (below) and still want a classy Bunna’, look no further. Sherry hoggies strike again! Swathed in furs like Julie Christie in Dr Zhivago. Classic whisky rancio with masses of oily, waxy tropical fruits, making this seem simultaneously old and fresh. There’s added thick wildflower honey, scented grasses, ginger in syrup and then, as it opens, the aroma of a bleached seaside boardwalk. The question is whether this burst of aroma is no more than a fleeting pulse of a fading life; but it has remarkable persistence and can even take a drop of water, which opens it further. Yes, it’s fragile (look at the age and the strength), but the fruits are retained and there’s an added exotic touch of propolis (thanks, Serge!). Delicate and intriguing. Dry oak to start, but the guava, mango and passion fruits come through as you tiptoe through its cobwebby depths. On the second try there’s more pulpy juiciness and a velvet-like dustiness. Quiet and fragile. An old actor recounting his tales of debauchery in the fleshpots of the Orient. Sherried notes from the off, but there’s a touch of fruit vinegar (apple/raspberry) nagging away at the back which makes things a little odd. Hints of cherry and a tiny touch of mustiness. When this recedes you get a soft, robust, richly fruited (and sweet) Bunna’ with rich fruits. With water there’s more nougat, and Nutella. Thick and slow. Here, the Sherry is on the vinous rather than the oaky side; a slow smear of dried fruits compressed into a dark, oozing paste (with added malt extract) before a massive hit of gingerbread comes over on the back palate. The tannins are soft and supple. Straight down the line. It’s just that vinegary note on the nose which pulls it down. Late in the season at the pick-your-own berry farm. Very pretty. Intense (of course), with low wood impact. Everything is delicate and lightly floral with a tiny touch of malt at the back. It needs plenty of water to bring out some fresh grist notes and gentle sweetness. Clean and hot (but, again, no real surprise there) with a floral start, then pears poached in sweet wine. There’s a lovely sweet spot mid-palate which adds presence and the flavour of melting raspberry ripple ice cream. Tense, but the sweet core and the mix of green fruits and budding flowers will soon stretch out. Really encouraging and marked in context. The first cone of the year on the seafront. If you age spirit in 100-litre, first-fill American oak casks, what do you think you’ll get? Bold oak tones for starters and they are there – there’s the smell of a warm rick house in here, as well as sandalwood shaving soap and fresh pencil shavings. 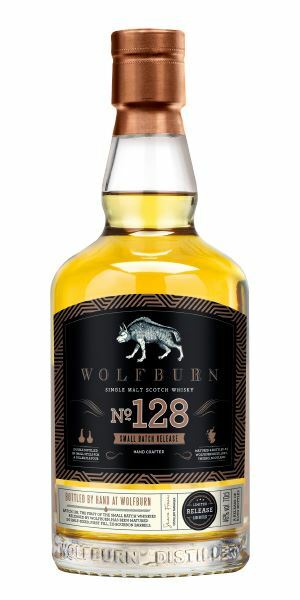 Wolfburn, however, has a thick, fruity distillate and this manages to cope with the oaky ingress, adding some cooked greengage, menthol, a spicy element and – with water – smoke and some cereal; while the varnish-like elements which you sometimes get with intense oak are retained. Big and lightly smoky, which adds an almost tarry element that contrasts well with the soft spirit. It remains a juicy mouthful, with light chocolate, nuts and praline. The addition of water pulls out more Bourbon-like elements, but alongside apricot fruits. Another bold step forward for Wolfburn. Oak-driven, but not dominant. Marked in its competitive set. George Jones makes a detour to Thurso. Batch 115 22/09/2017 GlenDronach Kingsman, Jura One and All, Glen Scotia 18-year-old and Benromach Triple Distilled. 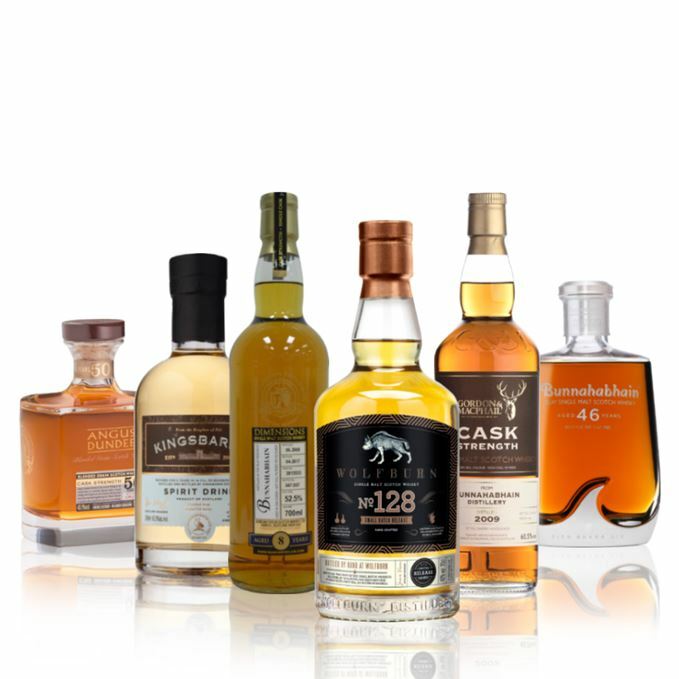 Batch 113: Diageo Special Releases 2017 12/09/2017 Our editors assess this year’s eagerly anticipated collection of Scotch whiskies from Diageo.